Any practice or occupational healthcare professional who is involved in carrying out spirometry in any setting who has (must have) undergone the Certificate of Competence in Spirometry Training Course within the past 2-3 years OR who has undergone the Spirometry Refresher Course within the past 2-3 years. Real everyday spirometry issues are addressed using recently published data, including international guidelines as well as The South African Guidelines to Spirometry – Generation of acceptable and repeatable spirograms (SANS 451) to compare measured with predicted values as well as the most current draft of ARP 451, Spirometry – Application of SANS 451 – Guidance on the Interpretation of Spirograms, still due for publication. This will enable the learner to interpret test results as normal, obstructive, restrictive or mixed obstructive/restrictive with a very good understanding of the how and why of these pictures. Learner course evaluations include such comments as: “I have learned so much”, “I now feel confident to do and comment on this test”. 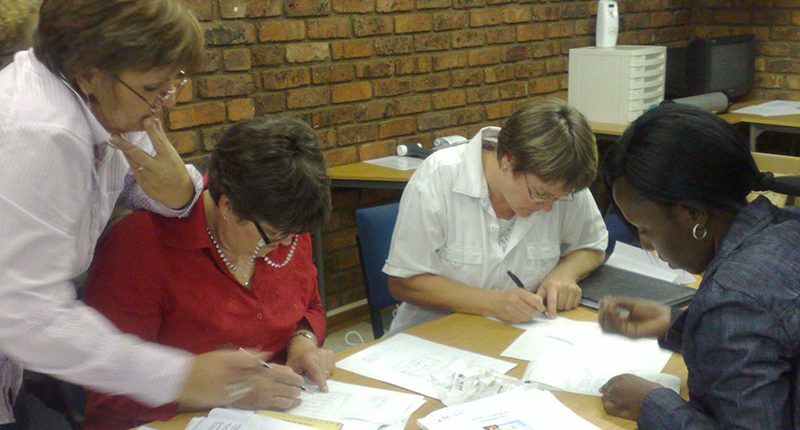 The course utilizes a combination of teaching methods including PowerPoint presentations, worksheets, quizzes and lots of practice and discussion with real life spirometry tracings. On completion of the course a “Certificate of Attendance” is issued to the learner. An up-to-date manual using current international and South African guidelines and draft guidelines (i.e. the most current information available) Spirometers and disposables are available for the attendees to use if they so wish. Teas, a light lunch and refreshments are catered and included in the course price. Please bring own calculators, pens and paper as well as any spirometry tracings that are of interest or you would like to discuss. Course fee includes a comprehensive manual, worksheets, quizzes and a Certificate of Attendance.